I’m not one to knock new year’s resolutions. I think anytime someone wants to make a change in their life for the better, it should be encouraged and celebrated. Even if the zealousness wears off quickly—a month, a day…a moment of positivity and energy spent making life what I/you/we want it to be is time well spent in my opinion. Among cliche resolutions, there is the marquee “Get Fit” commitment. Again, you won’t hear me belittle it. I believe the world would be a far better place if everyone resolved to “get fit” (Please note, I did NOT say, “get thin”, or “ripped”, or “buff”, or “cut”, or “swole”, etc. FIT as in healthy(er)…just being clear). I, for one, absolutely desire improved fitness. I know through the overwhelming evidence of my own experience that going long periods (or even several days) without exercise, makes me feel like a heaping pile of poo. Nobody wants to feel like poo. On the flip side, when I’m working out daily (or most days) I feel good. Really good. And here is the important part: Feeling good changes everything for me. My clothes are somehow more acceptable, my to-do list isn’t as overwhelming, the sun is warmer and the wind less irritating, my kids are cute again…you get the idea. I’m not suggesting fitting in exercise is the magic bullet that will fix all problems. But I will be so bold as to say—it can be life changing. I don’t care if you walk, cross-fit, practice fencing, or ride a unicycle—moving your body feels good. It is simply a matter of finding what feels good to you. I’ve given legit time and effort to a myriad of different activities. Right now, in the current season of my life, it is not a priority to devote more than one hour—en total: travel time, workout, etc. to exercise on a daily basis. Additionally, while I’ve been a member of one gym or another for the better part of the last fifteen years (having had a great experience at all), I’ve found my life (currently) doesn’t allow for getting to the gym easily. 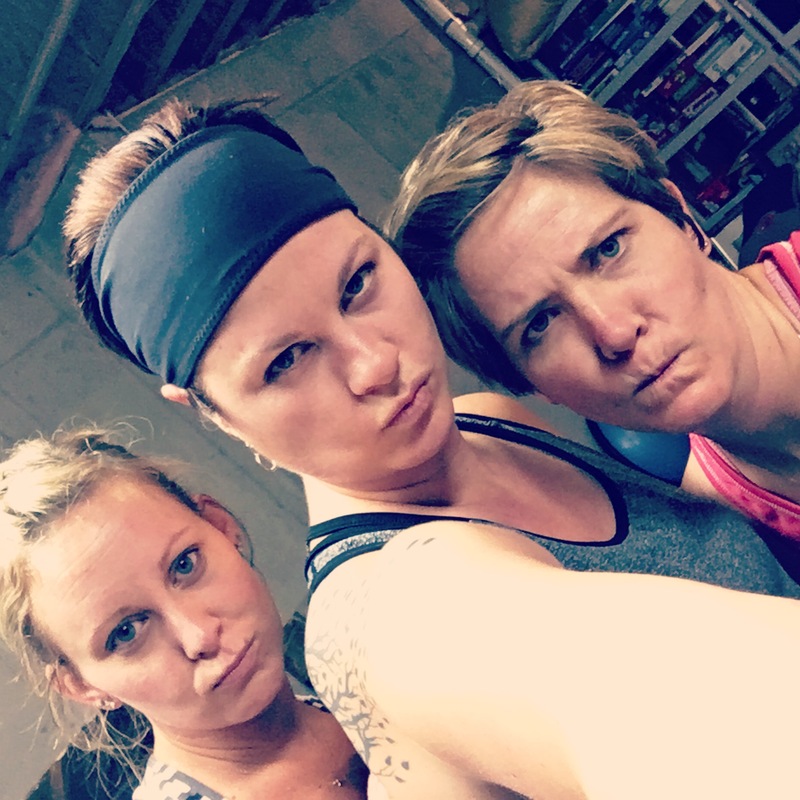 One of my closest girlie friends was meeting regularly with a couple of her homies in the early morning for a short but intense 30-45 minute workout. Being tight with this chick and more than comfortable, I invited myself to try out their system. Luckily, they didn’t seem to mind my intrusion. It is the perfect balance of time-in versus results-out with a nice dose of accountability and support. I have a say in the workouts, but it isn’t entirely up to me, which provides a push when I need it, or the encouragement to try something new when I’d likely fall in a rut. We’ve developed a savvy ability to design tabata workouts, strength circuits, and find running routes. We utilize the internet, DVDs, and our own creativity—and it’s essentially FREE. No membership fees and virtually no equipment. I rarely want to get out of bed at 5:30AM when the alarm sounds, but I never leave a workout disappointed. When the workout is complete, I get to start my day with a smile on my face and tired muscles everywhere else. The dynamic relationship, which has developed within our group, is it’s own form of therapy. If someone can’t make a workout; if someone is distracted or under stress, the other members of the group have an opportunity to show love and support—and it’s EASY to do. In the minutes before and after the hard physical work is completed, we have a chance to check in with one another—listen, vent, be heard. And let me tell you, these moments are invaluable to my wellness—to my health and fitness. But I’ll be damed if we don’t feel like some of the healthiest women alive at 6:45AM Monday through Friday. *Repeat Each Move for 6 Cycles before moving on to the next move.